The dogs from Israel will have a collar sensor, and they’ll scour the area for any suspicious material or individual and relay data to a mobile control unit. NEW DELHI: Their bite is worse than their bark. Amid deepening strategic ties between India and Israel, New Delhi has procured a set of rare breed of dogs from Jerusalem that specialise in sniffing explosives and are capable of taking down armed suspects. The canines will work with the SPG that secures the PM, ex-PMs and their families. Talks are also on between the two countries for sensor-based sanitisation of venues being visited the VVIP SPG protectee. The dogs from Israel will have a collar sensor, and they’ll scour the area for any suspicious material or individual and relay data to a mobile control unit. This will help in cases when the VVIP wants to visit a place at short notice and the Blue Book cannot be followed.They said negotiations are also underway to upgrade all the 3,000-4,000 dogs engaged by the Central paramilitary and defence forces under a 10-year technology upgrade programme to match the capability level of SPG canines. The PMO has asked the ministries of Home and Defence to formulate a common proposal citing requirements of the dogs, upgrade of training infrastructure and other technology. Besides the rare canine breed, Israel has also supplied special breeds of German Shepherds and Labradors who can sniff explosives and carry out assaults. Israel has also helped in upgrading Indo-Tibetan Border Police’s (ITBP) dog training centre to train 25 SPG dogs every four months.A set of 30 dogs have been procured and inducted. The canines and technological gadgets for their upkeep and upgrade of the ITBP facility near Chandigarh has cost Rs150 crore. Equipment has been procured for regularly testing the saliva of the canines to estimate their operational efficiency by analysing the health parameters. At any given point, 60 dogs are deployed by the SPG for the PM’s security. Ineffective dogs are replaced. One batch of 60 dogs consumes 12 quintals of special food every month, are kept in a hygienic environment with regular medical check-ups and swimming pools. 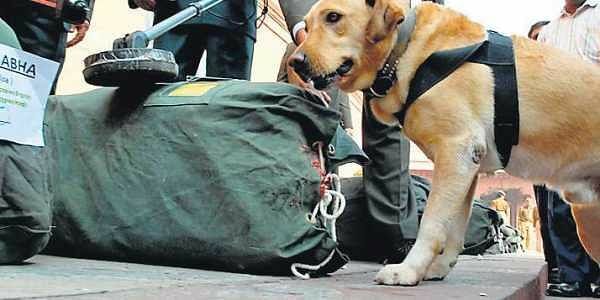 Dogs not of the SPG but with paramilitary and defence forces are trained to detect explosives. Some dogs are for patrols only. The dogs weeded out by the SPG are sent to the Central Paramilitary Forces for their use.